Actually, that was years ago, now. Dynamic Range Day has been so successful that it’s become an annual event, with it’s own website – for all the latest information, click here. If you’d like to get involved, please “Like” the Facebook page for regular updates. Thanks, and see you soon ! It’s easy to take part – just SHOUT (type in all caps) ALL DAY, EVERYWHERE ! What are the Loudness Wars ? 20/04/10 NEW Join us at 9pm GMT on Twitter to try and get this issue trending ! 19/03/10 Dynamic Range Day is global, and has just started in some time-zones ! Music is getting louder, and sounding worse. Engineers and artists are using modern technology to push the average level of recorded music up and up and up against the “brick wall” maximum level of the CD format. This results in distortion, lack of punch and a flat, two-dimensional, lifeless sound. If you’ve ever wondered why you feel tired and get a headache listening to recent CDs, but not discs released back in the early nineties, the Loudness Wars are probably to blame. The most famous example in recent years is Metallica’s “Death Magnetic”, which made the headlines when over 20,000 fans signed a petition asking for the CD to be remixed or remastered. CDs have a maximum dynamic range of over 96dB (decibels). Until recently, the loudest CDs had a dynamic range of 8dB or more, even at their very loudest points. Much of “Death Magnetic” has a dynamic range of only 2dB, and most people agree that it sounds terrible as result. Dynamic Rangeis a measure of how much contrast there is in music, how much light and shade, how exciting it sounds. It’s a two-edged sword, though. Too much, and rock won’t rock, pop won’t pop, and you’ll have to keep adjusting the volume. Too little and you’ll get sick of listening to even your favourite music far quicker, and probably end up with a headache. Sadly, by 2010 this trend has affected almost every genre of music. You can hear it for yourself by listening to the audio examples in the short interview I did for BBC Radio 4 soon after “Death Magnetic” was released – click the grey arrow in the box over there on the right ! Just SHOUT ALL DAY ! Why SHOUT all day ? Because over-compressed, distorted, unnecessarily high-level Loudness-War-Casualty music sounds as if it’s shouting at you, all the time. IT’S LOUD AND IT STAYS LOUD AND IT’s ONLY LOUD AND VERY SOON IT WEARS YOU OUT. AND GETS BORING ! So please, sign up for the Facebook Event to stay updated. 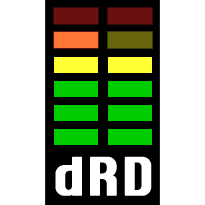 If you have a blog, write a post explaining why you support Dynamic Range Day, and a Dynamic Range Day Banner. Tell your friends – talk about #DYNAMICRANGEDAY on Twitter and see if we can get it trending. Simon Howes has set up a mySpace page – tell all your friends about it ! Lets get this issue everywhere. Show your support – sign up now. Just signed up at the Facebook event page and tweeted about it. Blog post is on the way, but most likely will take a few more days due to my current production work. Thanks Marko, that’s great ! Surely, this is part of the problem. We shouldn’t be encouraging Maxed Out EQ Typing. I’m all for this – just listen to Rush’s VAPOR TRAILS. @ Malc Lol 🙂 You’d better organise #TastefulTypingDay PDQ ! I’m there Ian. There’s no LOUD without soft. BE SURE TO HAVE A URL SET UP FOR THIS EVENT THAT RESOLVES WHEN SHOUTED!!!!!! OTHERWISE IT MIGHT BE HARD TO RELAY THE INFO ON THE DAY IN QUESTION!!!!!! If you’re talking about the issues this site has had in the last few days, you’re absolutely right – however I’ve moved the database to another server and it seems to be OK, now. I think I will also clone the site to a different host as a backup if we get lots of traffic on the day. “Loudness is relative” – exactly ! Thanks for the suggestion ! Fancy setting one up ?! You could just copy and paste the text from the Facebook page (http://tinyurl.com/dynamic-range-day-event) if that helps ? PLEASE DIGG if you have an account! Hey, is this going to happen March 20, 2011, too? Will have to throw some ideas around with everybody and see what we come up with ! I’ve posted a video based on my recent presentation to the Audio Engineering Society Convention, called “The Loudness War: Background, Speculation and Recommendations,” at http://www.sfxmachine.com/docs/loudnesswar/ . hears a really good idea to get the message across VERY CLEARLY!.. this is based on the experience of my wife while watching a movie. we were watching harry brown and as its a movie I play it through my Hi-Fi. in once scene some one was unconscious and they guy next to him whispered “wake up” after a few times he loses his patience and shouts “WAKE UP!” the huge difference in volume caused my wife to jump and spill her coffee!. it was a living demonstration of dynamic range. so I got thinking instead of the rather naff video about the loudness war we have now, how about using an example set in a real life context. cue cut to a caption with a message about bringing dynamic range back in to music. You’re right – movies are an excellent example of why dynamic range is important. I’ve got several ideas for videos to spread this idea – I’ll try to get them sorted soon. It’s scary to see how many people either can’t tell the difference between utlra-compressed and not-ultra-compressed music, or actually prefer the music ultra-compressed. I did a video for DRD (today!) and a few of my subscribers have already voiced that they prefer the compressed, ruined version of my song. I hope this issue gets more coverage so we can make music sound good again!